Cats Protection is partnered with Pets at Home’s VIP Lifelines scheme. 105 of our branches and centres are also linked to a store through the VIP scheme. This scheme involves our supporters earning Lifelines when purchasing items in Pets at Home stores, which is then converted into vouchers for our branches and centres to spend in their local store. So far this has raised over £349,000 for Cats Protection. From 2 May until 31 May, VIP are running a £500k VIP Lifelines campaign. 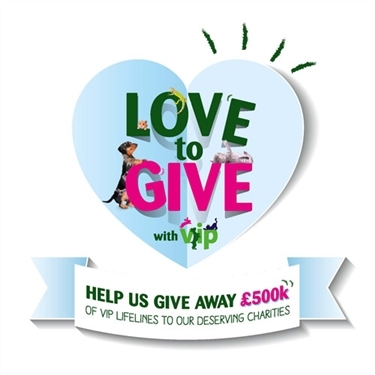 As we are a national body on the VIP club, we are competing against 700 other partnered charities for the single prize of £52,500. We would love it if you could vote for us to be in with the chance of winning this fantastic prize! If successful, we will distribute the £52,500 across the 100 branches/centres that are linked to a store through the VIP scheme for the funds to be spent on items to help cats in their care. To vote, simply click here www.petsathome.com/VIPlovetogive from 2 May and vote for CP! You can also visit your local store and a store colleague can help you submit your vote. Don’t forget that you can also vote up to five times too. Thank you for your support and fingers crossed!